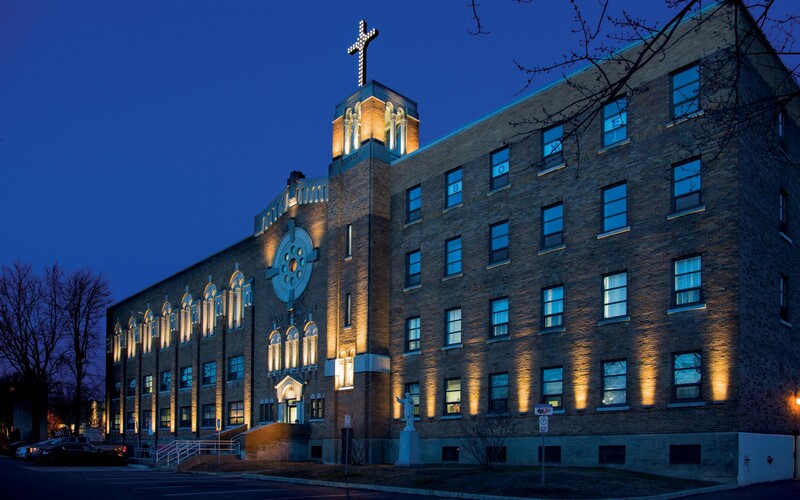 The City of Sorel-Tracy replaces the high-pressure sodium fixtures lighting the Sacré-Coeur Center with low-watt Lumenpulse LED luminaires, adding accents to the historic building. On opening night, citizens gathered in front of the building to admire the old college’s architectural beauty. 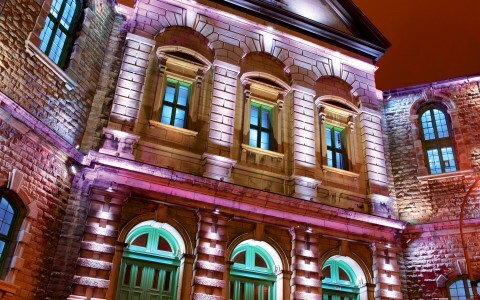 The Canadian City of Sorel-Tracy recently adopted a plan to revive its historic buildings with lighting design. 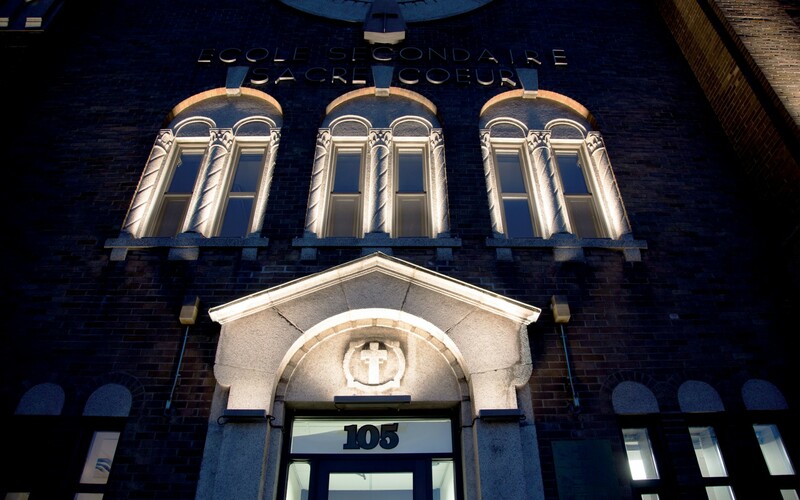 One of the sites chosen was the Collège Sacré-Coeur, an erstwhile school now serving as a centre for several community organizations and municipal services. 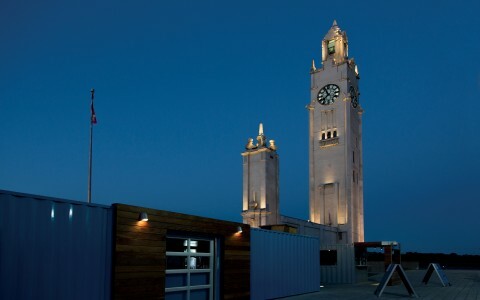 "We also seized the opportunity to improve our energy efficiency," says Marc Guévremont, the City of Sorel-Tracy's Director of Urban Infrastructure and Equipment Service. The former sources illuminating the Sacré-Cœur Center's exteriors were high-pressure sodium flood lights, which used a combined total of 5,650 watts. The new lighting not only brings out the building's unique features, it also consumes a lot less energy. 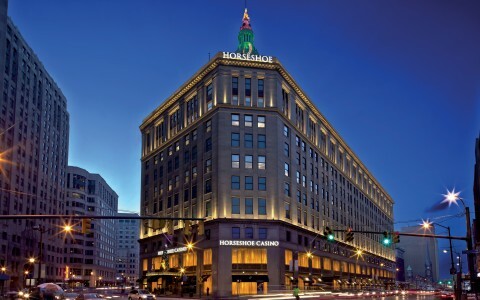 Although over 100 Lumenpulse LED luminaires are installed, they only use 1,250 watts. 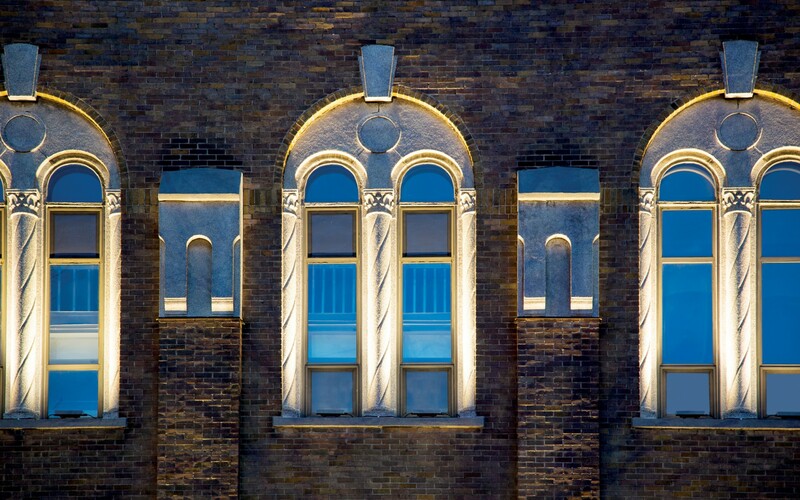 Because of the building's historic importance, the luminaires were required to blend in against the façade. 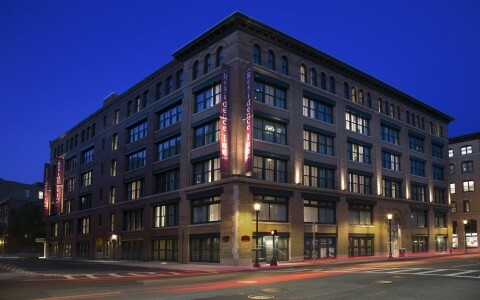 Visible conduits were color-matched to the brick, while a combination of silver-colored Lumenfacade Horizontal and Stand Alone were anchored to the mortar to graze the building. The fixtures also accentuate the window arches and decorative columns. 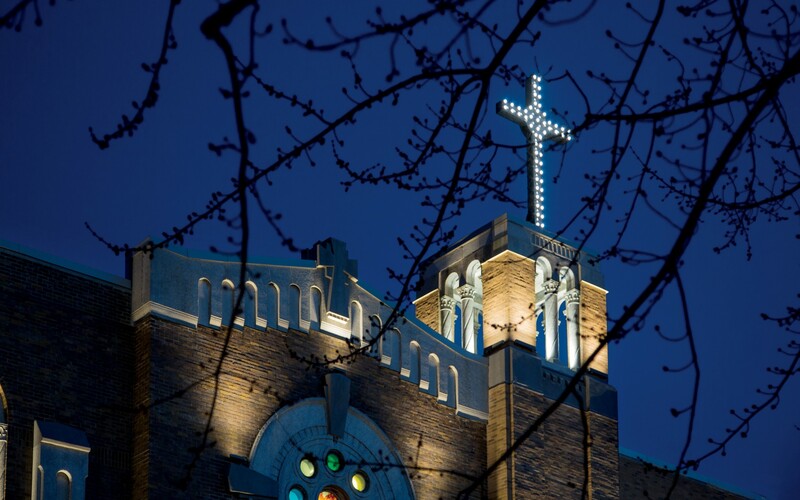 The pinnacle, marked by a cross, is outlined with Lumendome Nano fixtures, and the stone carving above the entrance is highlighted using 1 Lumenfacade Horizontal luminaire with a custom optic of 25° x 95°, covering the width of the arch and engraved the cross. Lumenpulse was chosen because of its fixtures' long lifetime, the precision of its optics, and versatile product forms that could adapt to complex mounting and installation requirements. That they are manufactured a mere 50 miles from Sorel-Tracy was also an incentive, as the City was keen to support a local product. "People's reaction to the new lighting has been more than positive," Guévremont reports. "Our younger citizens are discovering their regional architecture, while the older generations are rediscovering it. On opening night, citizens gathered in front of the building to admire the old college's architectural beauty."